THE SECRET OF truly great home cooking is often found in the periphery. It might not always be the main ingredient that inspires happiness in the belly and the soul, but rather a subsidiary one. It might be the butter the fish was cooked in, or the dried spice dusted over the top of an egg. Perhaps it’s the seasoning or the drizzle of something sweet. Tasked with the challenge of narrowing this list down to a Top Ten proved to be unexpectedly agonising. 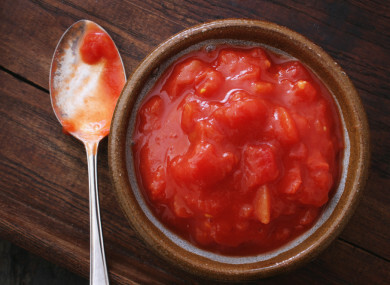 What does a cook need more – hot sauce or anchovies? Cumin or coriander? Pasta or flour? Marmite or Worcester sauce? The only reasonable way to approach this Top Ten was to omit ingredients whose shelf life was in the relatively near future – it’s a given that any sensible cook keeps a steady supply of eggs, lemons, garlic and butter streaming through their kitchen. This list is compiled of ingredients that could arguably live in your larder forever as constant companions in the quest for flavour and deliciousness. With the help of a methodical and thorough consultation with some food enthusiasts on Twitter and some clever chefs in my address book, below is a list of the essentials that I believe should perpetually reside in your pantry. Here goes. Not just any salt and pepper will do – it’s got to be sea salt ready to be sprinkled and whole black peppercorns primed for grinding. Seasoning your food properly is the very first and possibly the most crucial step in elevating your home-cooking from bland fuel to joyful sustenance. Yes, fine, fine, I’m pushing it but by squeezing two entries into one (not once but twice and I’m only on entry two), but this is my list so I reserve the right to bend the rules – particularly when it comes to olive oils and balsamic vinegars. I’d stretch it beyond olive and balsamic and advise on including rapeseed and sesame to your oil artillery, and apple cider and red wine vinegar as their acidic counterparts. For drizzling, roasting, frying and dressing, good quality oils and vinegars are the cornerstone of good cooking. Dollop it into your yogurt and granola. Slather it on hot, buttered toast. Drizzle it on roasted vegetables for a sweet, sticky finish. Honey is one of the few things in the world that never goes off. Some varieties of honey will crystallise but pop the bottle in a bowl of hot water and you’ll be drizzling in no time. Rice. Pasta. Couscous. These are the dried carbs that come to our rescue time and time again. Totally wrecked after an intense day at the office? Boil up some rice and serve it with stir-fried vegetables doused in soy sauce. Literally can’t cope with the fatigue of realising it’s only Tuesday? Get some pasta with garlic, herbs and lemon zest into you. Want to change things up? Soak some couscous and mix with lemon juice, feta, fresh mint and pomegranate seeds. And by all means, go gluten-free if that’s your vibe; the choice and quality of what’s on the market has come on in leaps and bounds in the last few years. Now, I did consider putting anchovies on this list as they are the underlying ingredient to my most powerful pasta sauces. After much hand-wringing, I decided that the exceedingly popular choice of Worcestershire sauce could stand in on the Top 10 for anchovies, seeing as the umami-loaded little fishies are a key ingredient in this magic sauce which is more versatile than anchovies themselves. Take a lead from Beyoncé and welcome hot sauce into your life. Personally, I have six bottles of hot sauce on the go in my storecupboard at this moment in time. Whether it’s Tabasco, Sriracha, Cholula, El Yucateco, Frank’s Hot Sauce, or Mic’s Chilli (made in Wicklow), the breadth and diversity of hot sauces on the market is one of modern life’s simple pleasures. I mean, this is self-explanatory. There was no way these tins of Italian sunshine weren’t going to be on this list. Essential for mid-week pasta sauces, tinned tomatoes are also on hand to help you pull off a minimum-effort slow-cooked stew or a spiced up curry sauce. While we’re on the subject of tins and curries, coconut milk is another essential which I will squeeze onto this list right behind the tinned tomatoes. My list, my rules. Choosing spices for the storecupboard is an extraordinarily challenging feat, particularly for those of us who have taken their favourite spices on holiday with them. The last three entries are my top three essential dried spices, though in truth I could do a Top Ten on dried spices alone and another Top Ten on dried herbs. But sure look, this is a start. Dried chillis are a no-brainer. It could be chilli flakes or dried habanero, just make sure you’ve got some fiery friends in your storecupboard to put to work in pasta sauces, guacamole, curries and, well, any sauce really. Go for the seeds rather than the ground, because you can grind up the seeds as you go giving you fresh aromas every time. Sprinkle a dusting of cumin on eggs for a hint of North Africa in the morning. Use it as a base for your curry powders. Add it to roast potatoes alongside slices of lemon to add a special something-something to your spuds. Sure, you can make your own curry spice mix yourself but there are some really great spice mixes on the market already. Garam masala is always a good bet with its combination of black peppercorns, cinnamon, cloves, cardamom and nutmeg, and I also love a good korma mix which features cumin, paprika, cinnamon, turmeric and cardamom. Your standard supermarket curry powder can get you a long way in a squeeze as well. So what do you think I left out of this Top Ten? What omissions are you outraged by? What would your Top Ten be? Email “The 10 storecupboard staples every grown-up kitchen should have”. Feedback on “The 10 storecupboard staples every grown-up kitchen should have”.